Here is the link to a just-published study by Joey Fung and associates. The study examined the efficacy of a school-based mindfulness intervention (Learning to BREATHE) on mental health and emotion regulation outcomes among predominantly ethnic minority (Asian and Latino) 9th grade students with elevated mood symptoms. Analyses revealed small effect size for attention problems, medium for internalizing and externalizing problems, and large for perceived stress. 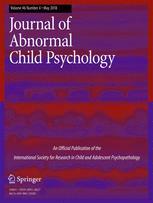 The study provided evidence that mindfulness intervention was beneficial for low-income ethnic minority youth in reducing perceived stress and internalizing problems, and improving emotion regulation outcomes. Furthermore, mindfulness training was associated with reduced mental health symptoms via improvements in emotion regulation.